I did not remember Viggo was at that movie, but I once read something here that I completely agree with: even then one could see he had potential, and now, after working with great directors – pairing up beautifully with another favorite of mine – he’s one of the best out there. I guess I can say the same about this dessert: rice pudding is already good and comforting, but gets even better made with real vanilla and topped with this Port syrup. 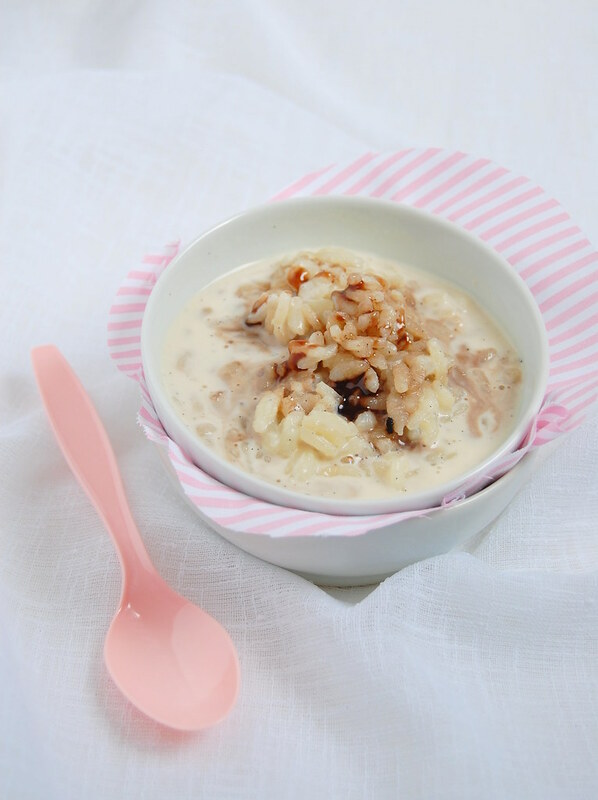 Place the rice, cinnamon, vanilla (seeds and bean), milk, cream and sugar in a large saucepan over medium heat. Stir until the sugar is dissolved and bring to the boil. Reduce the heat to low, cover and simmer, stirring occasionally, for 30-35 minutes or until rice is al dente. Discard the vanilla bean**. Make the syrup: place the brown sugar and the Port in a small saucepan over high heat, stirring to dissolve the sugar. Bring to the boil, reduce the heat and simmer for 1 minute or until syrupy – it will thicken as it cools. Divide the rice pudding between six cups or small bowl and top with the sticky Port syrup. Rice pudding seems delicious! Definitely I must try this some day. Patricia, your recipes are wonderful and I love your movie commentaries. Maybe you could write a "best of" list one day. Meant to say, I have given you an award. Please visit my blog for details. Witness was one of my all time favorite movies! I also love rice pudding and will definitely try this one. Sailaja, thank you for stopping by! Just My, they're so homey and comforting, don't you think? Cooking Art, thank you! Hope you like it! Dragana, thank you! That is a great idea - thank you! Katie, it's really unusual, isn't it? Lorraine, thank you, sweetie! That tart sounds wonderful! Katie, you are always so sweet, thank you! Poppyseed, that movie is wonderful! I agree with you. Hope you like the recipe, too! Mmm I love rice pudding and the addition of a port syrup sounds perfect! I've never commented, which is a shame, because this is the most amazing rice pudding ever. My family goes ape over this. Seriously awesome. Thought you should know! Hey S.K.B., that is great news! I'm so glad to hear you and your family like the recipe - thank you for letting me know!